Up near the northwest corner of New York’s Central Park, across from the intersection of 106th Street and Central Park West, stands The Strangers’ Gate, one of 20 named entrances to the park, which was designed in 1858 by Frederick Law Olmsted and Calvert Vaux. If you pass through the gate and climb the 77 stone steps to the top of Great Hill, you will enter, in the words of Rebecca Chace, “a fairy tale: a wilderness welcoming all strangers, as Olmsted and Vaux intended.” And you will see almost immediately on your right a small stone that marks the Peter Jay Sharp Children’s Glade. This is an urban playground unlike any I have ever seen. 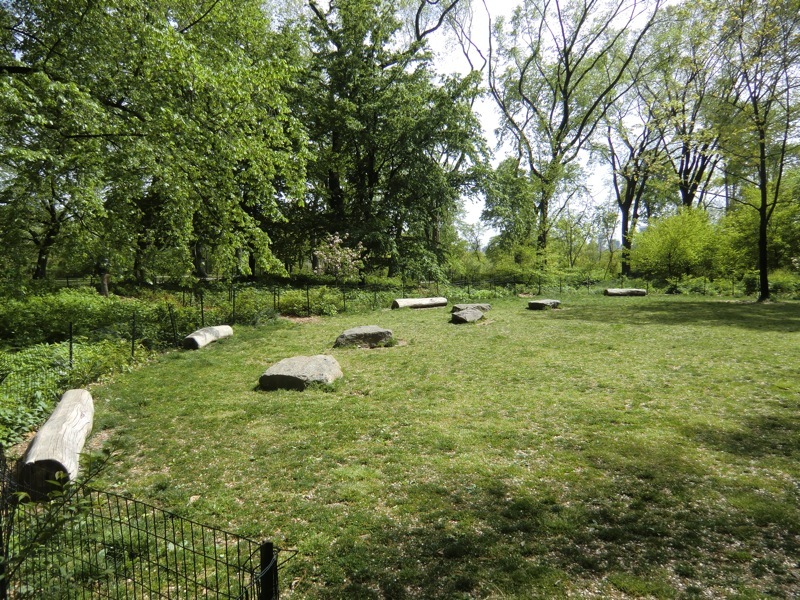 It has no swings or slides, no sandboxes or ball fields, It has only some large rocks set about an open lawn, trunk-sized logs on which to climb or sit (and one in which to hide), trees and flowers now waiting to bloom, and paths that give the place a sense of unthreatening mystery and quiet adventure. Meanwhile, 160 years later, alarmed by a caravan of asylum seekers from Central America, the U.S. government prepares to send National Guard troops to our southern border.